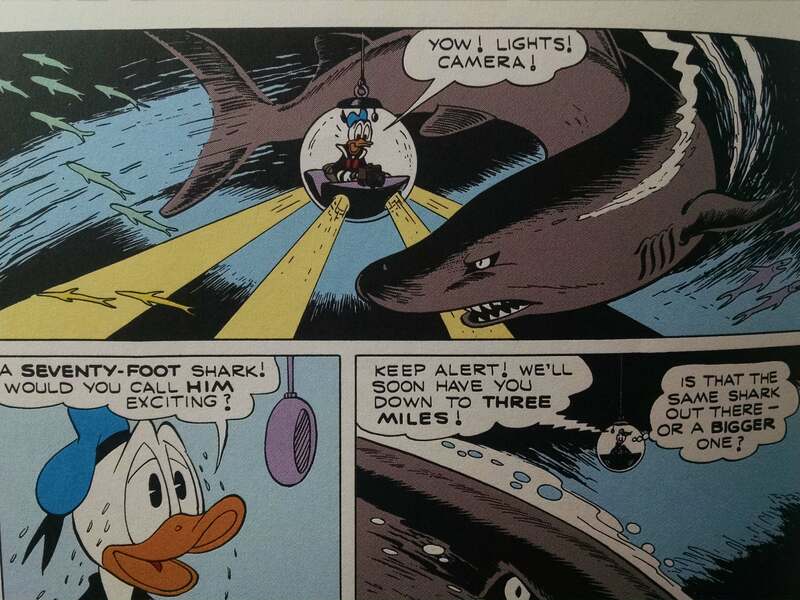 I seek help identifying a circa 1960 Disney comic book in English, where Donald Duck goes down in a diving bell. A seemingly megaladon-sized shark attacks the bell, and the diving bell falls to the seafloor and into a really giant clam. The diving bell is covered with nacre, and then is found and raised. 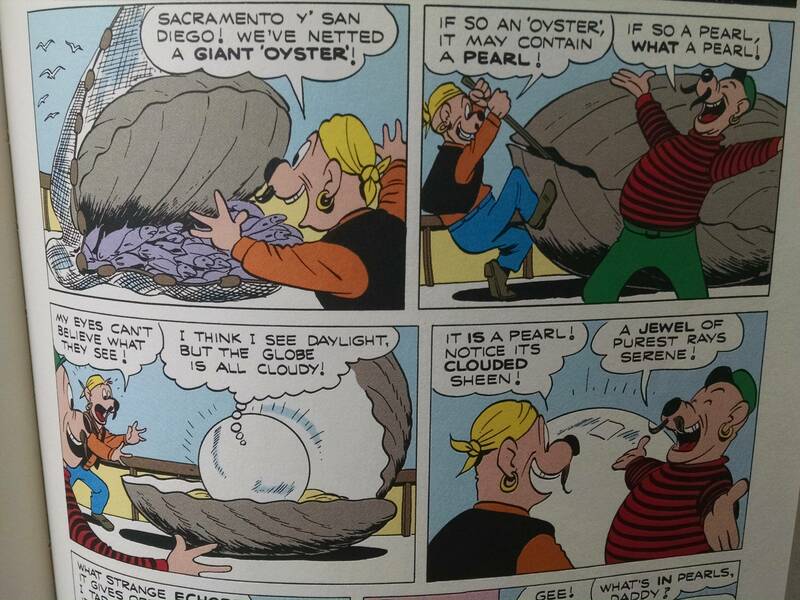 Everyone thinks it is the biggest pearl ever found until Donald breaks out. My sons have recently been reading the reprint volumes of Carl Barks' Donald Duck and Uncle Scrooge comics. Although the eleven-year-old initially informed me that this is "Lost Beneath the Sea" from 1963, I have now checked, and the correct story is "A Descent Interval.". 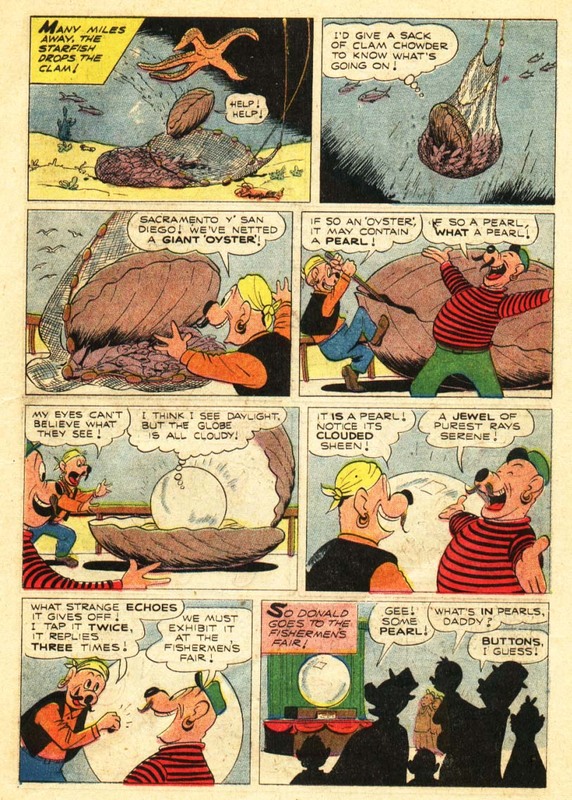 First published in June 1955, it is collected in volume 15 of the Disney Ducks anthologies, The Ghost Sheriff of Last Gap. And here is the "pearl." Not the answer you're looking for? Browse other questions tagged story-identification comics donald-duck or ask your own question.